Vietnam and Belarus have agreed to mutually recognise each other’s market economy status and consider the possibility of trade liberalisation between the two countries. 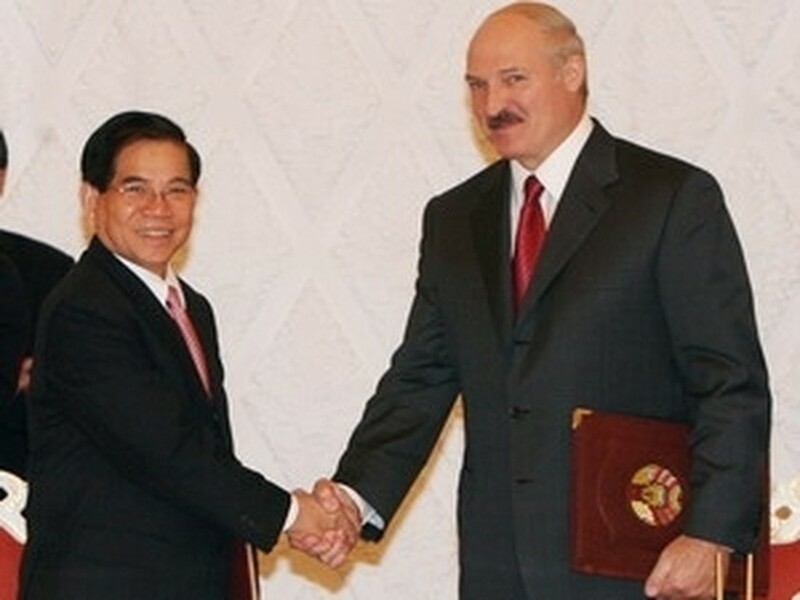 Vietnamese President Nguyen Minh Triet shakes hands with Belarusian President Alexander Lukashenko after issuing the joint statement during the Vietnamese President' s visit to Belarus. This was stated in a Vietnam-Belarus joint statement, which was signed by State President Nguyen Minh Triet and his Belarusian counterpart Alexander Lukashenko during the Vietnamese leader’s visit to Belarus from May 13-15. During his visit, President Triet held talks with President Lukashenko and met with the Chairman of the Council of the Republic of the National Assembly, Boris Batura, and Prime Minister Sergey Sidorskiy. The joint statement says the two leaders agreed to step up bilateral cooperation in economy, trade, security, science-technology, education, health care, culture and sports. On this basis, both parties expressed their willingness to continue facilitating long-term cooperation for the sake of both the Vietnamese and Belarusian peoples. According to the joint statement, Vietnam and Belarus confirmed their support for strengthening the central and coordinating role of the United Nations (UN) to ensure peace, security and cooperation around the world. They both agreed that the continuing reforms in the UN will enhance the efficiency and capacity of its operations in maintaining international peace and security. They also stressed on the need to expand the representation of developing nations on the UN Security Council. Vietnam acknowledged Belarus ’ view on the necessity to also extend the representation of East European countries on the council. 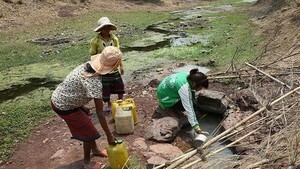 Belarus applauded Vietnam for its successful term as a non-permanent member of the UN Security Council during 2008-2009. The leaders acknowledged that they had similar views on many important regional and international issues and said they were ready to cooperate closely within the framework of the UN and other international organisations. They will also take part in joint efforts to form an equal and reasonable international economic and political order on the basis of non-interference in the internal affairs of sovereign nations, equality, mutual respect and mutual benefit, while abiding by international laws and the UN Charter. Belarus praised Vietnam for its active role in ensuring a harmonious development, peace and stability in Southeast Asia and expressed their belief that Vietnam ’s chairmanship of the Association of Southeast Asian Nations in 2010 will help to improve the bloc’s prestige and influence. Vietnam applauded and reiterated its support for Belarus’s desire to step up multifaceted cooperation with other ASEAN member countries.